The news in the Walpole Weekly (April 22, 2015; “Town Jetty to close for two months”; cover story) that Walpole town is to have a new floating jetty caused me to search my file in order to find a previous article which heralded the provision of a new jetty in July 1983. The previous 50 year old jetty (pictured below) was inadequate in every way, and in times of heavy storms with high tides it could be completely under water. 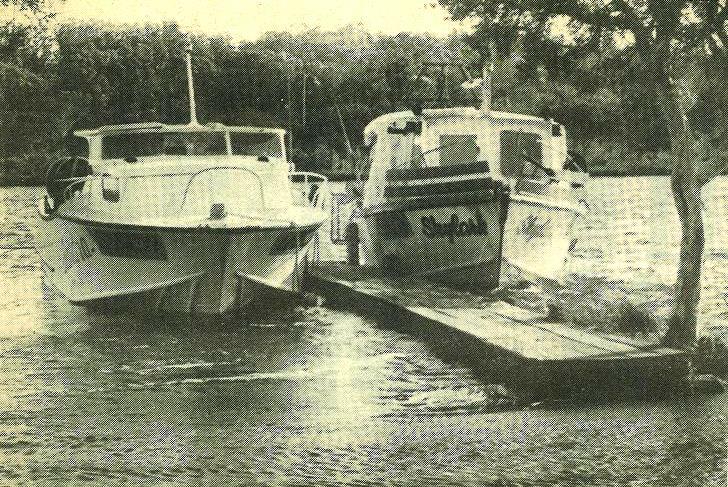 The old Walpole Town Jetty, replaced in 1983/84, had its limitations. Pic: ‘Warren Blackwood Times’, July 13, 1983. The Manjimup Shire Council agreed to support a proposal put forward by Warren MLA Dave Evans which could provide Walpole with a new $35,000 jetty. Council was to consider allocating $5,000 to the project from the 1983/84 budget. Other funding was to come from the Federal Government’s job creation scheme. 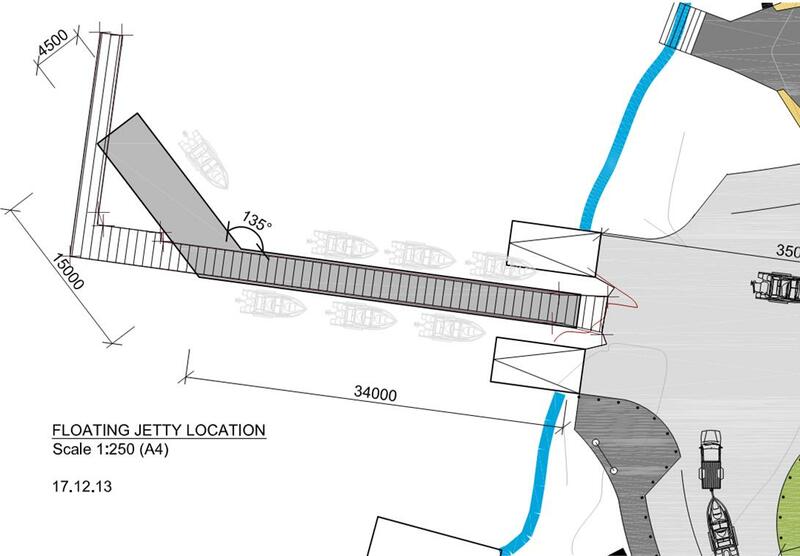 Preliminary plans for this new jetty were prepared by Blair Howe of Walpole. Public works were responsible for choosing the site for the jetty in consultation with local people. The end result was a construction that was used for 32 years (until 2015) and which, at the time, proved to be a great improvement and offered advantages for all activities and uses. Once again, however, the popularity and growth of our town has necessitated the provision of a more convenient structure. As at May 6, 2015 the old new Town Jetty is now closed and will be replaced with a new floating jetty and two new concrete boat ramps which are scheduled to open on July 3, 2015. See illustration below. This post is based on an article by Molly Smith that appeared in the May 6, 2015 edition of the Walpole Weekly as part of her “Looking Back with Molly” series.